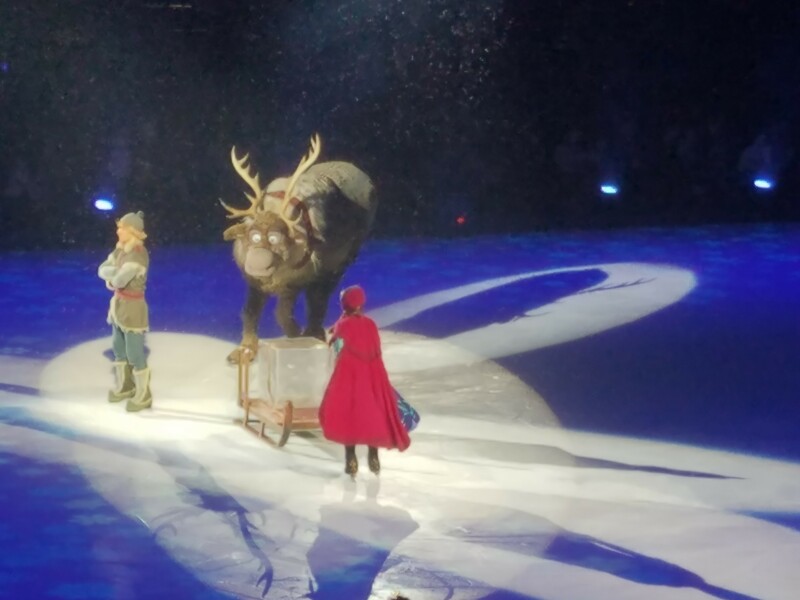 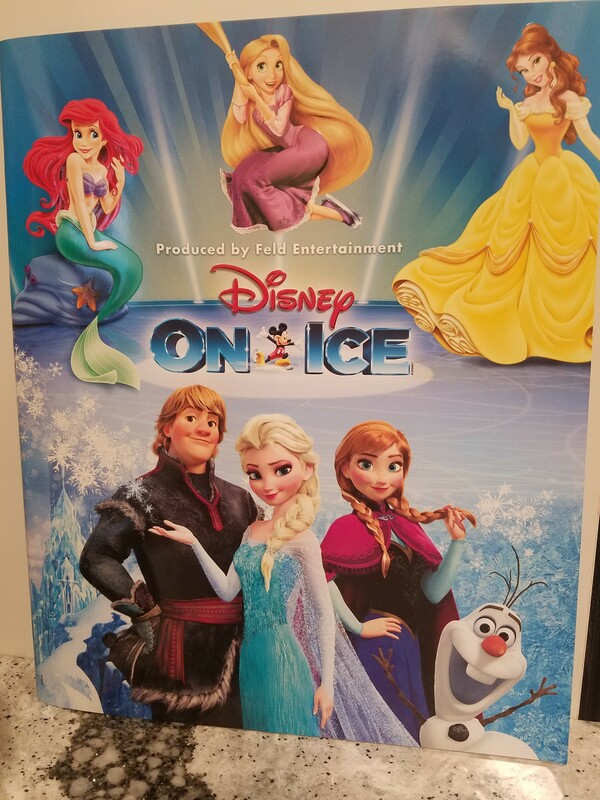 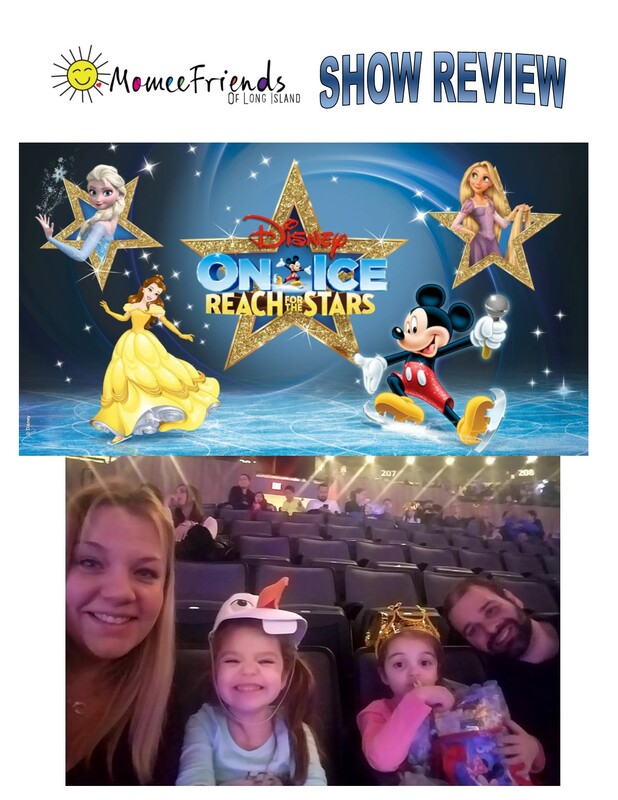 This weekend head to the NYCB Live Nassau Coliseum with your family and see Disney On Ice- Reach for the Stars. 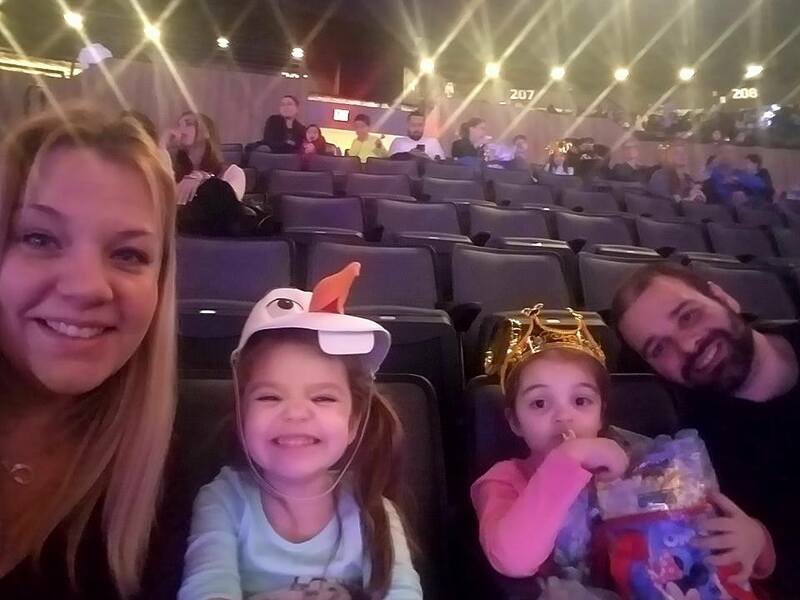 We went last night for opening night and it was an incredible show featuring some of our favorite Disney characters such as Mickey, Minnie, Goofy, Donald Duck, Ariel, Rapunzel, Belle, Elsa, Anna and Olaf! 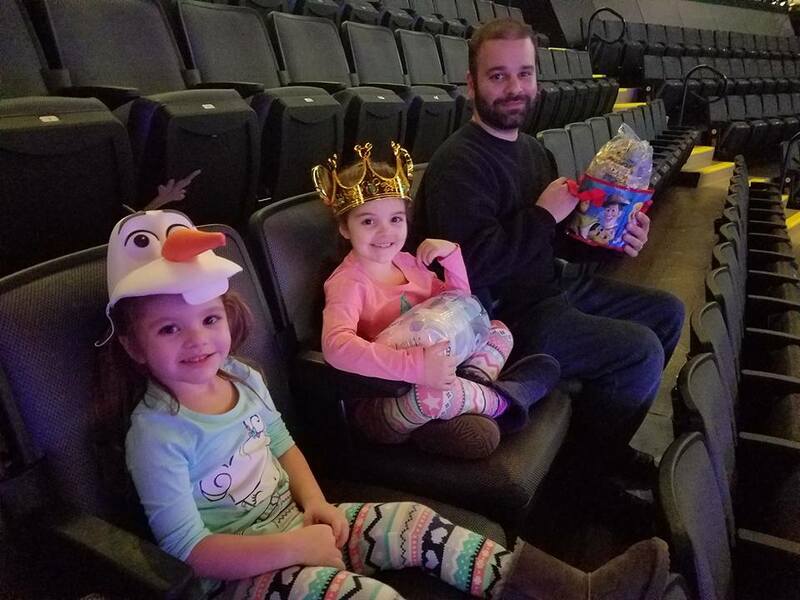 We love that each featured princess story was compiled into a beautiful compilation of songs and brief dialogue. 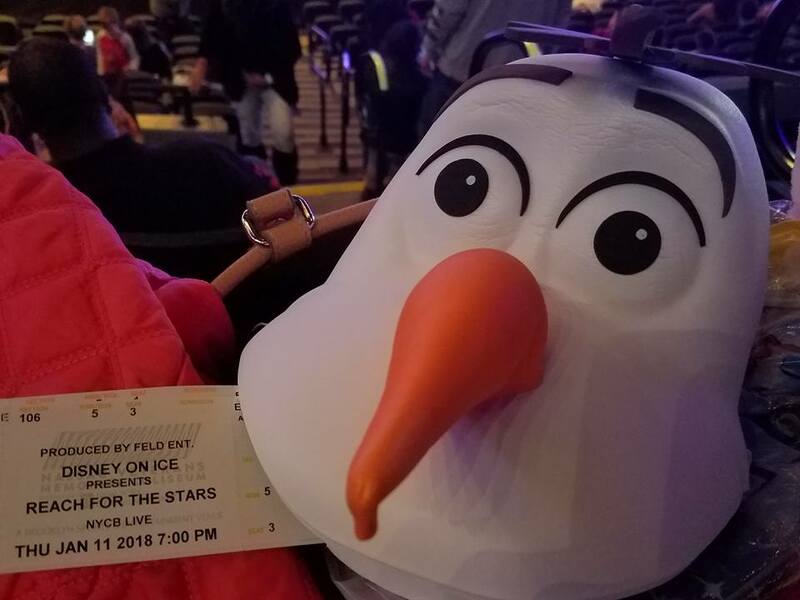 The atmosphere at the NYCB Live venue was joyful as the crowd sang along to their favorite songs such as, “Under the Sea”, “I Have a Dream”, “Be Our Guest” and “Let it Go”. 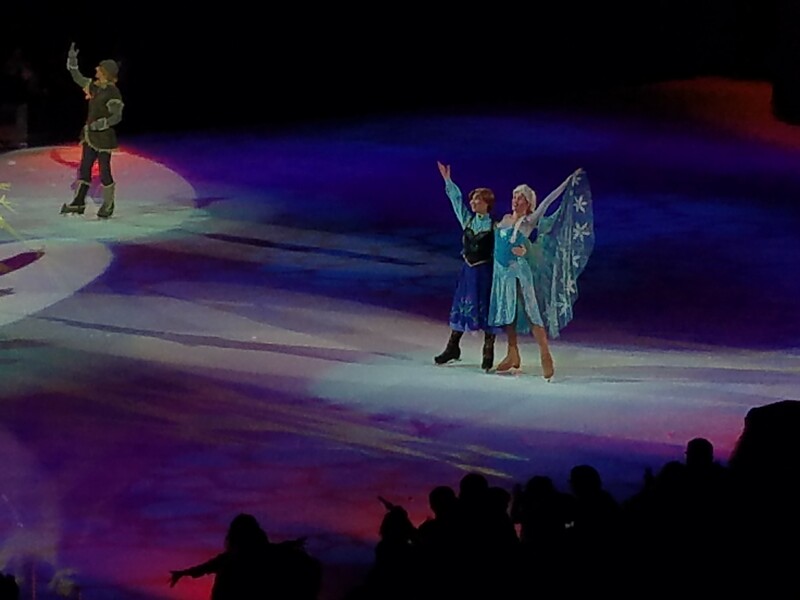 My husband and I absolutely loved the costumes and the set designs. 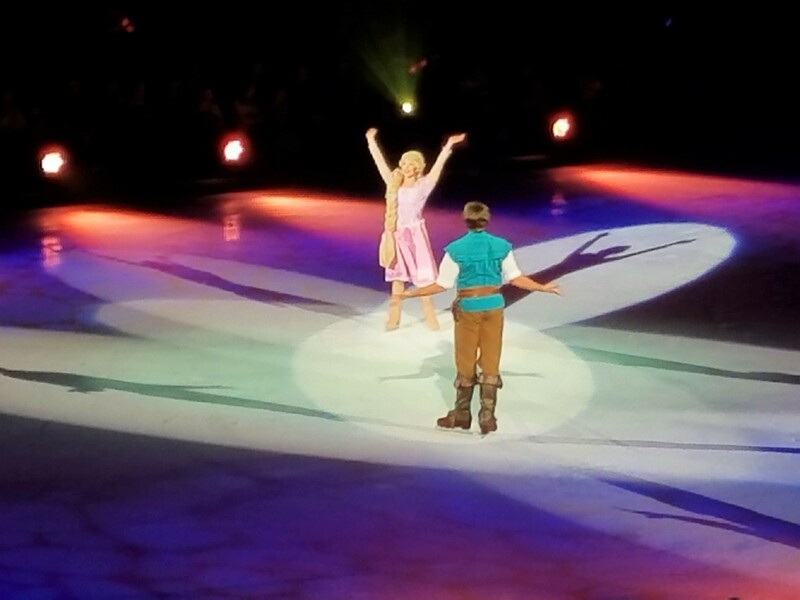 The costumes were beautifully detailed and the sets were so colorful. 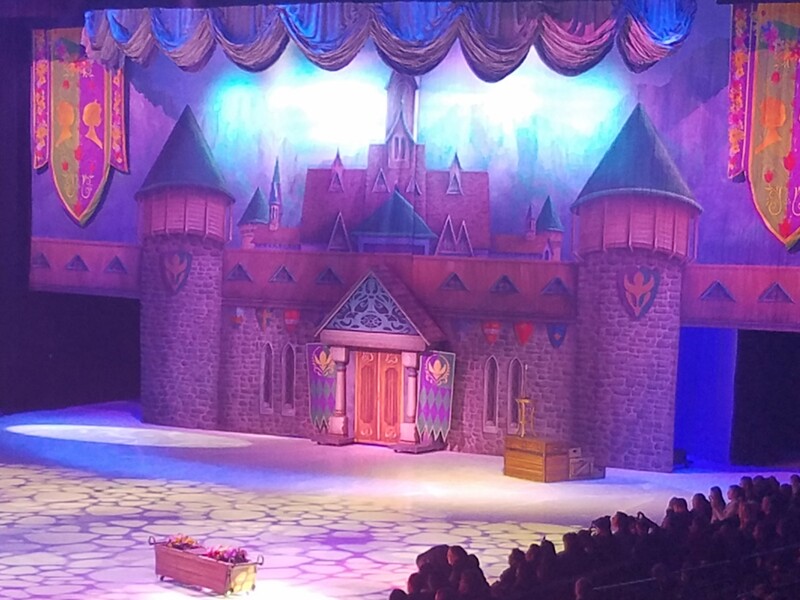 How incredible is this castle scene of Arendelle? 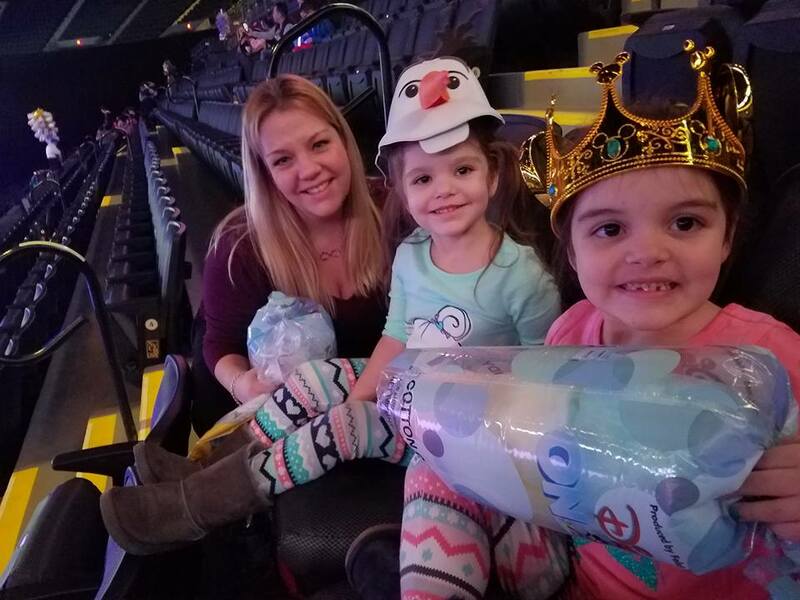 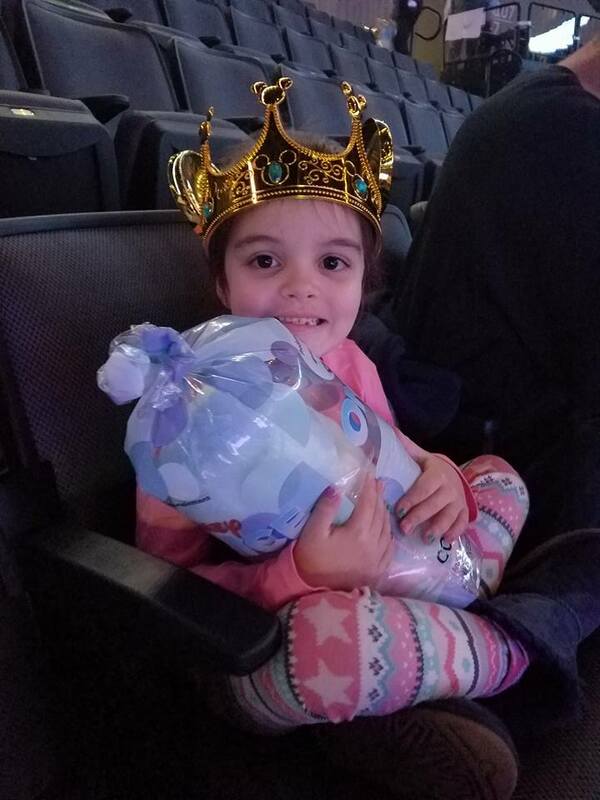 We always need the HUGE bag of cotton candy at the family events and the cotton candy came with the Mickey Crown or the Olaf hat shown in the pictures, below.